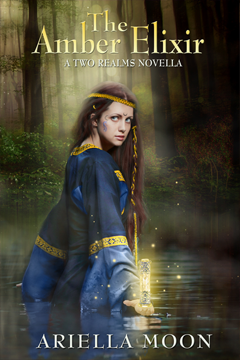 When Morgan le Fay demands assistance with a spell that could change the balance of power in the Two Realms, Viviane refuses her. But what if Morgan’s secret knowledge could restore the stone priestesses? Will an alliance with the sorceress prompt Viviane’s love to return? Or will the gamble cost her all she holds dear? THE AMBER ELIXIR contains spoilers which give away crucial plot points in THE BELTANE ESCAPE. If possible, read THE AMBER ELIXIR second.